The recipe for today comes from my 90-year-old mother-in-law. We went to visit her recently, and she allowed me to take her old church cookbook home to copy down her recipe for Christmas Date Balls. 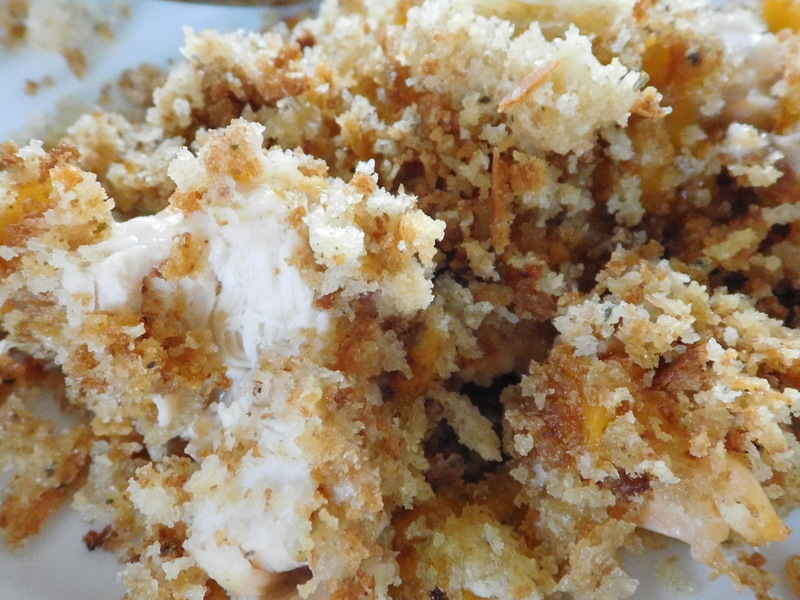 Fortunately for me, it also had this recipe for Chicken Casserole. You know how I feel about church cookbooks – they’re just the BEST. She has made this recipe for many years, and it’s actually taped in the cookbook. 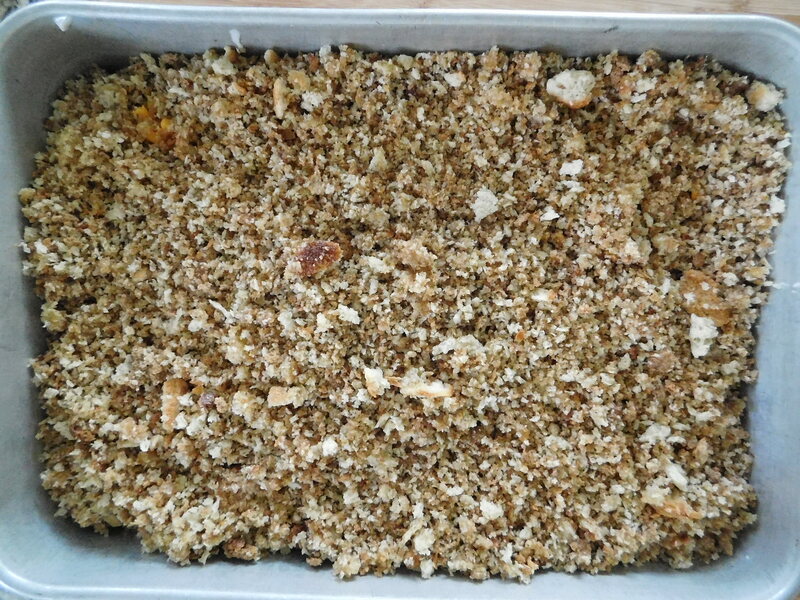 This casserole is something that she makes every time the family comes for a visit. It’s delicious and everyone loves it – especially our kids. Apparently (she told me), her daughters and other daughter-in-law have tried to make it themselves but alas, “it doesn’t taste the same as when you make it”. Isn’t that the way it always goes? It’s just never the same as when mom makes it – she just has her own special touch! It must be the added love that goes into it! 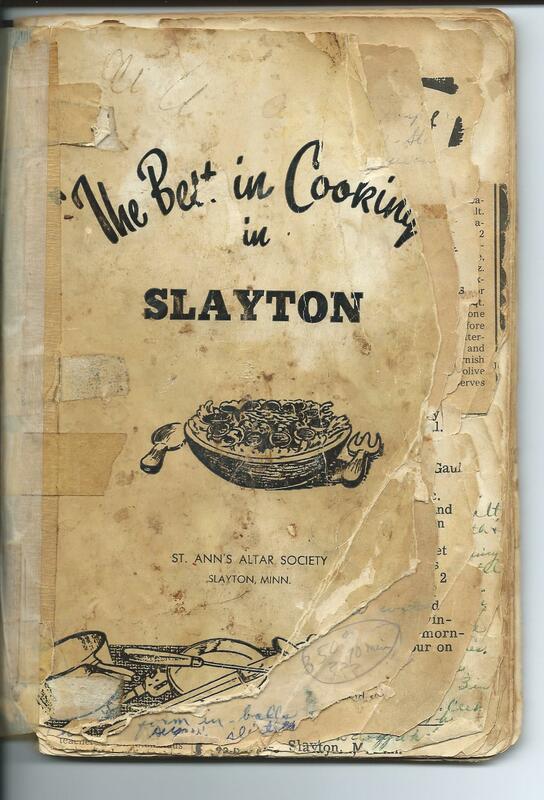 This is a very old and very well used cookbook!!! There are pages where her kids (and maybe grandkids and great-grandkids) have used it as a coloring book, written their names in it, and drawn pictures in it. Priceless!!! It’s a very simple recipe! 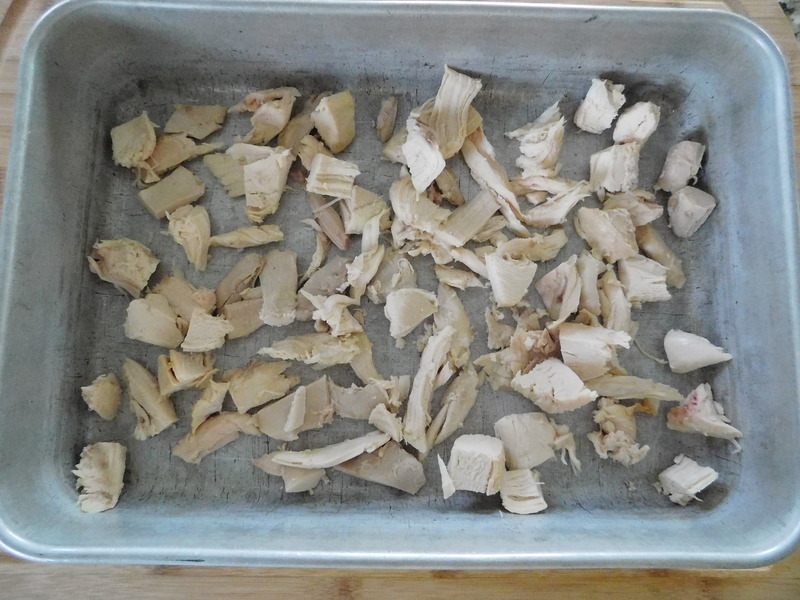 1 – Layer of boned cup-up chicken (I used about 2-3 cups of cut-up cooked chicken). 2 – Pour a can of cream of mushroom soup over this. 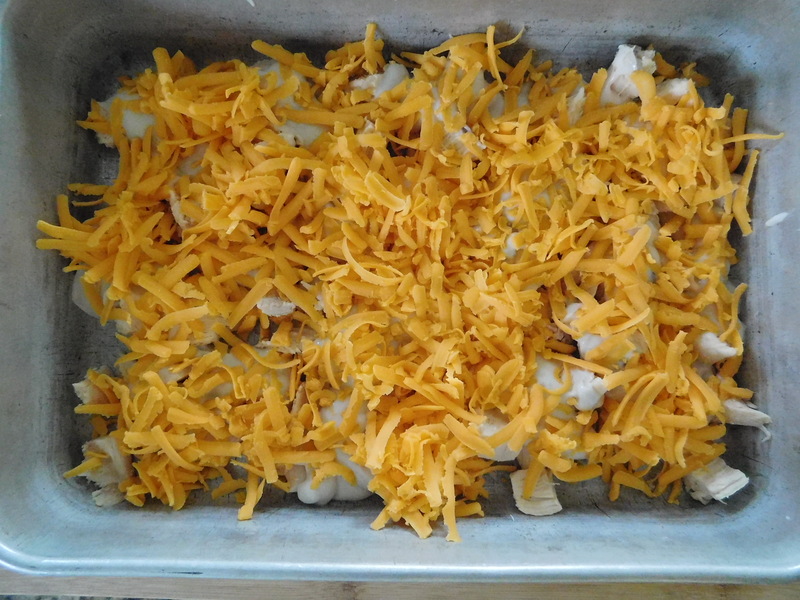 3 – Layer of grated cheese (I used 8 ounces of sharp cheddar). 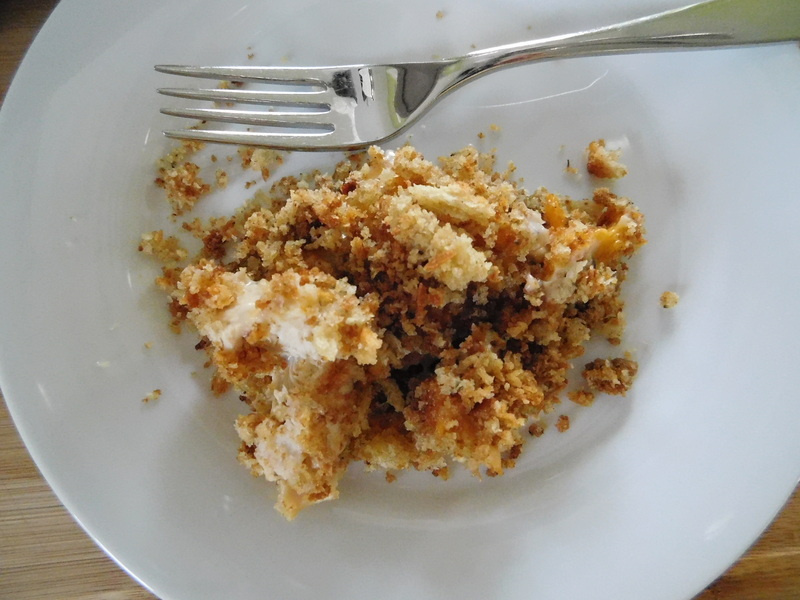 4 – Layer of Pepperidge Farm dressing (I used a 14 ounce bag of Classic Stuffing), which has been mixed with 2 sticks melted margarine (I used butter). Here are the first two layers, chicken and cream of mushroom soup. 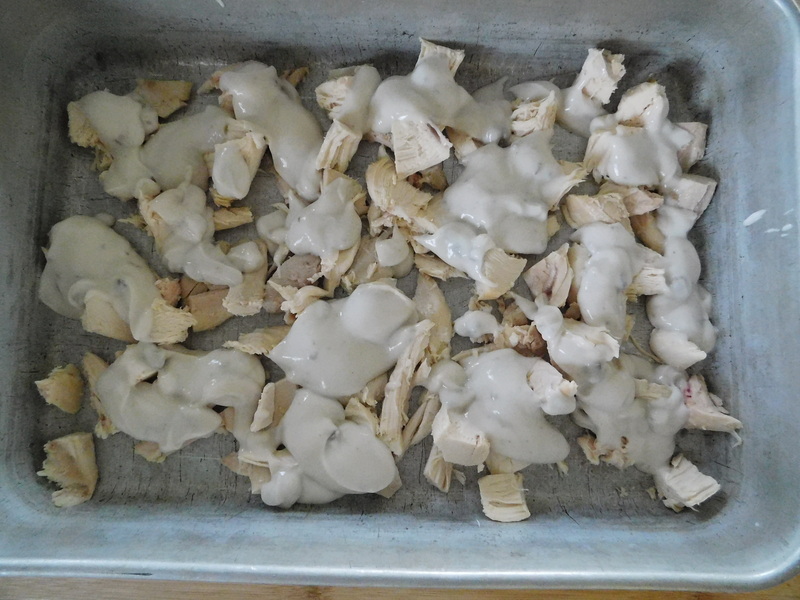 I think I could have used a bit more chicken. 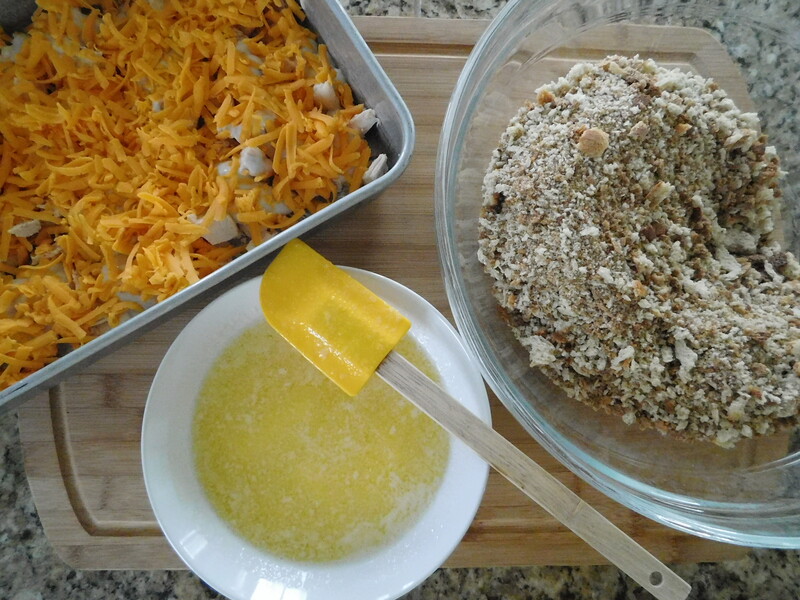 Next up, the cheese layer. Then mix the dressing with melted butter and put that on for the last layer. 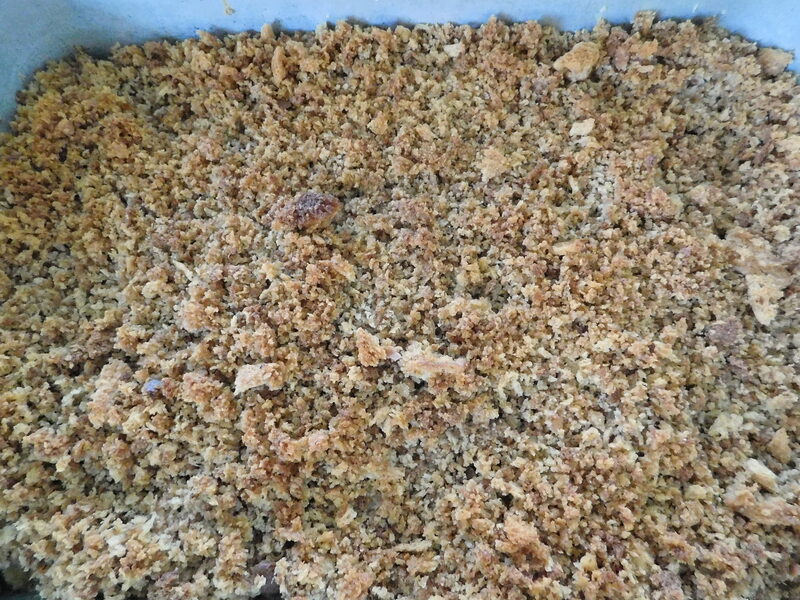 A subtle difference, but here it is before and after baking. It comes out hot and delicious and crusty. I think I used too large of a bag of dressing. Maybe the package size has changed since she started making this casserole. 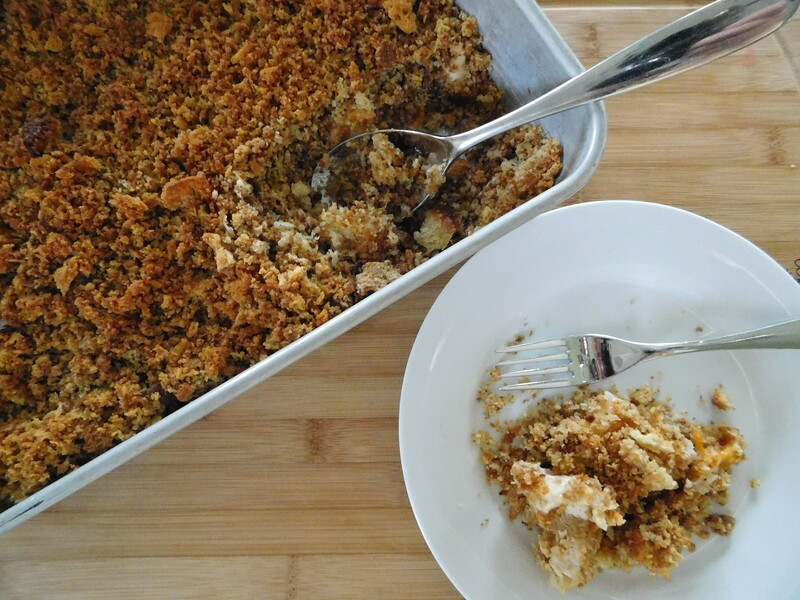 This a great casserole for busy families. It’s fast and easy and wow – OMG – this is delicious. Period. But the girls are right. It didn’t taste as good as when she makes it!